Mayor Eric Garcetti joined Los Angeles World Airports (LAWA) and Southwest Airlines to unveil the new Los Angeles International Airport Terminal 1. 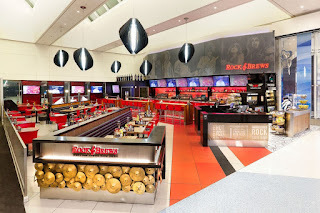 This follows a half-billion-dollar, curb-to-gate redevelopment that showcases a new check-in area featuring all-new self-service ticket kiosks, an efficient nine-lane security checkpoint, new area for baggage claim, and exciting new dining and retail destinations with state-of-the-art design. Completion of the Terminal 1 redevelopment comes as part of LAWA's multibillion-dollar Capital Improvement Program, considered the largest public works program in history for the City of Los Angeles. The Terminal 1 renovation is part of an overall LAX modernization program, which includes an Automated People Mover – an elevated train expected to be completed by 2023 – and is expected ultimately to create more than 121,000 construction-related jobs. "Los Angeles is a city of dreamers and doers, and the reimagined Terminal 1 reflects the creativity at the heart of our city," said Mayor Eric Garcetti. 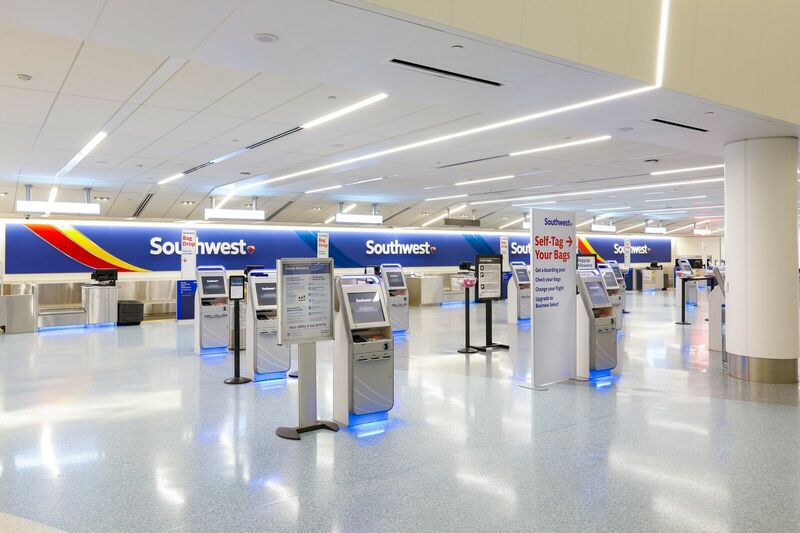 "Working together with Southwest Airlines and our partners, what we have created is more than a terminal that connects passengers to flights — it's a destination in its own right." "Today the City of Los Angeles and Los Angeles World Airports are celebrating a momentous occasion: The completion of a half a billion dollar investment into our airport by Southwest Airlines," said Councilmember Joe Buscaino. "As investment and partnerships continue to take flight, travellers can get a sneak peek of the future of LAX by visiting Southwest's Terminal 1 – a new first-class experience for every traveller, visitor and Angeleno." "The work happening to modernize LAX is focused on making our airport a more convenient and inviting place to travel through for Angelenos and visitors," said Councilmember Mike Bonin. "From the improved security screening facilities, new restrooms and concessions that feature local eateries, LAX is rapidly becoming the world-class airport this city deserves. The renovations to Terminal 1 will make this part of LAX more secure and more environmentally-friendly, and I applaud Southwest and LAWA on their progress so far." The four-year, $516.7 million project created 3,475 construction jobs and completely refreshed the ageing terminal, which was initially constructed in the early 1980s in advance of the 1984 Olympic Games. The project was completed with minimal impact to customer service and flight operations, keeping approximately 10 million customers moving through the facility each year of the redevelopment. "The new Terminal 1 reflects Los Angeles World Airports' commitment to creating exceptional facilities and experiences for our guests," said Deborah Flint, CEO, LAWA. "The T1 modernization has been a phenomenal effort by all partners at LAWA, Southwest, and URW Airports, and the results raise the bar for what guests can expect when they come to LAX." "Today's reveal of Terminal 1 marks a significant milestone in our continued improvement and modernization of LAX," said Board of Airport Commissioners Vice President Val Velasco. "Not only are we transforming LAX into the airport for the future, but we're doing so with a local workforce and businesses to ensure that our community is involved in and benefits from all that we do." The new 13-gate terminal is a true transformation: curb-to-gate, wall-to-wall. It now boasts an efficient nine-lane security checkpoint; a fully automated checked-baggage inspection and sortation system; refurbished arrival/baggage claim area; updated and expanded restrooms; and replaced Customer boarding bridges. "Southwest carries more California travellers to, from and within the Golden State every day than any other airline and is scheduled to offer a record 800 departures a day from California next summer," said Southwest CEO Gary Kelly. 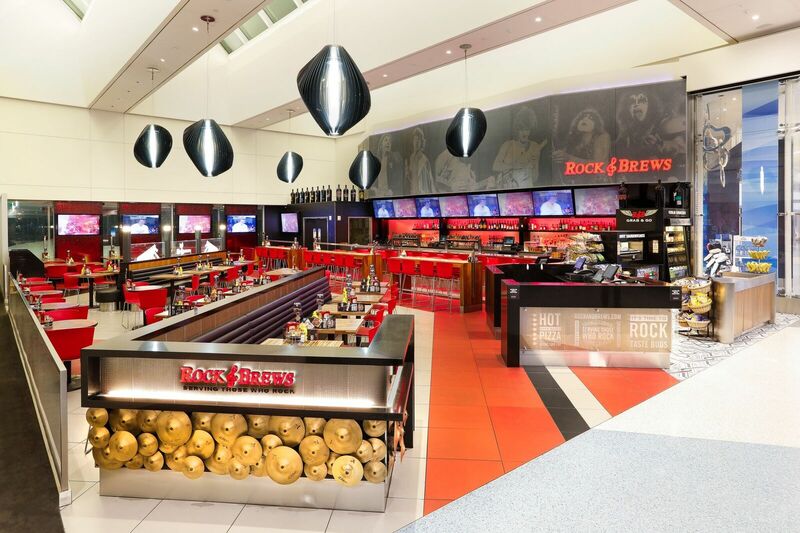 "This redeveloped Terminal 1 facility at LAX will host many of those Customers and is the perfect venue for our award-winning People to showcase their world-famous Hospitality." 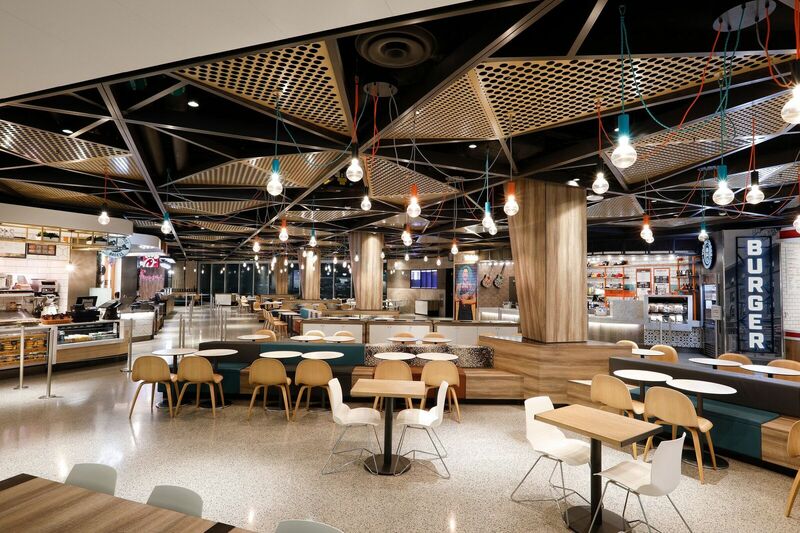 Southwest worked with LAX partner URW Airports, the terminal commercial manager, on a new and expanded dining and retail approach that includes celebrated local brands Urth Caffé, Trejo's Tacos and Cassell's Hamburgers, among others. 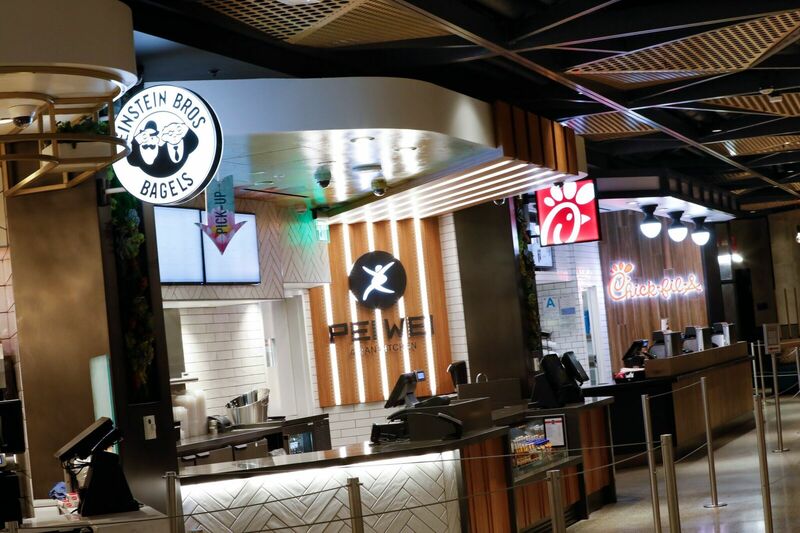 With 22 dining and retail destinations comprising 23,543 square feet, the new offerings introduce 13 brands new to LAX and eight that are making their airport debut. 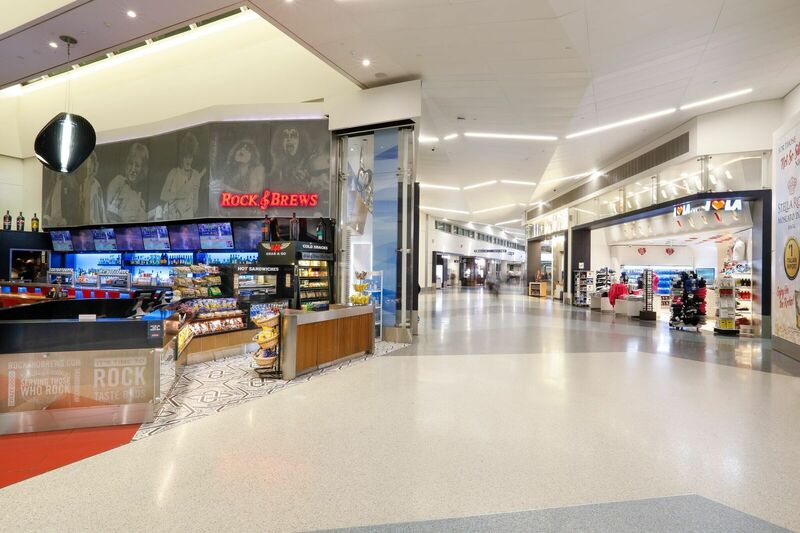 Southwest, construction manager Hensel-Phelps and architects from PGAL worked closely with URW to integrate shopping and dining destinations throughout the terminal, giving airport guests greater options and more visibility to their gate. As part of the Terminal 1 unveiling ceremony, Mayor Garcetti also opened the first long-term LA Original store, operated by Marshall Retail Group. 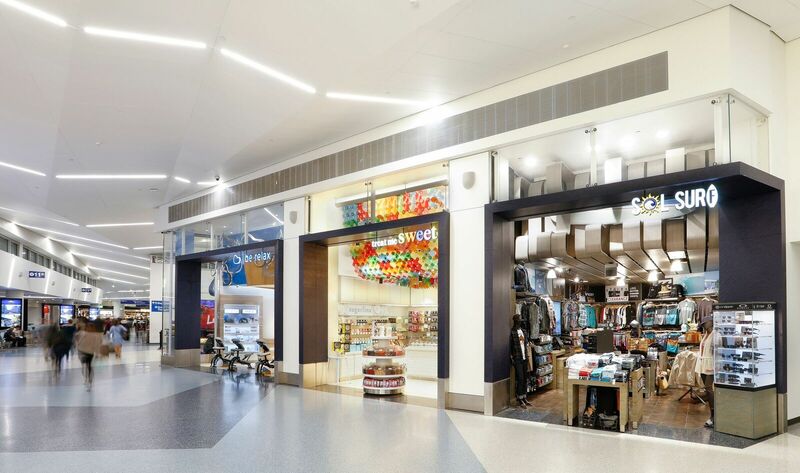 LA Original will be the first-year occupant of a retail space at the front of the terminal that will rotate regularly to introduce guests to trending brands and new products. LA Original, a pilot program of the Mayor's Fund for Los Angeles and the Mayor's Office of Economic Development, provides a platform to showcase diverse makers and promote locally designed, assembled, or manufactured goods through a line of LA-branded products from across Los Angeles. Proceeds support creative entrepreneur programs. "The Southwest brand is all about customer service and little surprise-and-delight moments, and today you can feel that energy pulsing in the new terminal," said Dominic Lowe, Executive Vice President and Group Director for URW Airports. "Terminal 1 is true testament to the results we can achieve in airports when we all come together with a shared vision." Designed to help travelers on their way, the New Stand store and kiosk carry a rotating mix of travel essentials, gifts and accessories while its free mobile app serves up entertaining articles, music, deals and a digital wallet. Urth Caffé offers its organic coffee and fine teas as well as a fresh, healthy and sustainable menu. Additional improvements at Terminal 1 include renovation of airline support office space; modernized aircraft parking/apron pavement and modernized hydrant fueling system; improvements to the building facade; a new roof; and relocation of the main terminal entrances to ease traffic congestion. Construction by the same project team is well underway on Terminal 1.5, a connecting structure between Terminals 1 and 2 that will further expand baggage claim areas and offer Southwest Customers connectivity to the new LAX automated people mover..